"We have had enough... enough of rest , enough of sitting behind the desk, enough of being clean, enough of eating, enough of day dreaming. Now its time to get back in action and start preparing, yes you read it right. Save the dates and start preparing, its going to be bigger and a whole lot tougher" claims RFC. Excited already?? 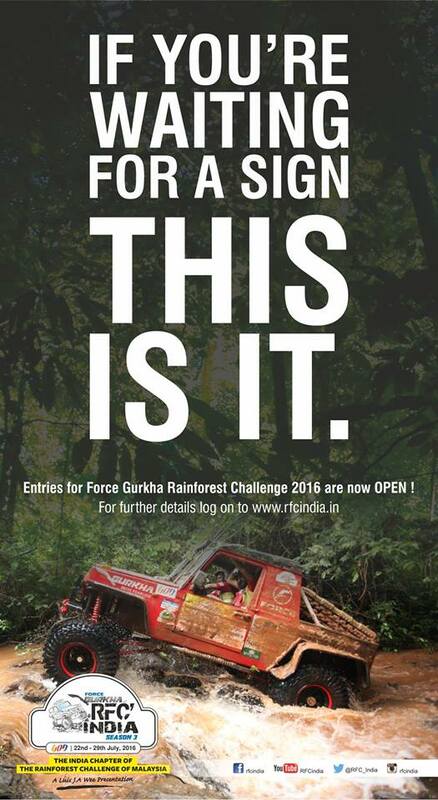 After two successful years in India, the Force Gurkha Rainforest Challenge (RFC) comes back the 3rd time in Goa from 22nd to 29th july 2016. This time a maximum of 25 teams can compete for the title and the winner will automatically get a free entry to the main event in Malaysia in december 2016. Now only 23 slots are available as the winners of north and south chapters already got 2 slots for the Goa event so Hurry and get registered yourself soon on the official website www.rfcindia.in. Why only total of 25 entries (23 available)? What is Force Gurkha RFC ? As off roading is gaining popularity not just in India but around the world , one of the worlds toughest race, the Rainforest Challenge was launched in Malaysia by Luis J.A Wee in 1997 to bring all of the off road enthusiasts around the world together. It also features in Malaysia book of world records for being the Biggest gathering of 4x4 vehicles (972) and Most Countries represented in a 4x4 event (27 nations). Italy, Russia, The Balkans, Poland Sri Lanka, Vietnam, Thailand, Tunisia, China and Australia are included in the worldwide editions of RFC in which Force Gurkha RFC India is among the top 3 events though its only 2 editions old. 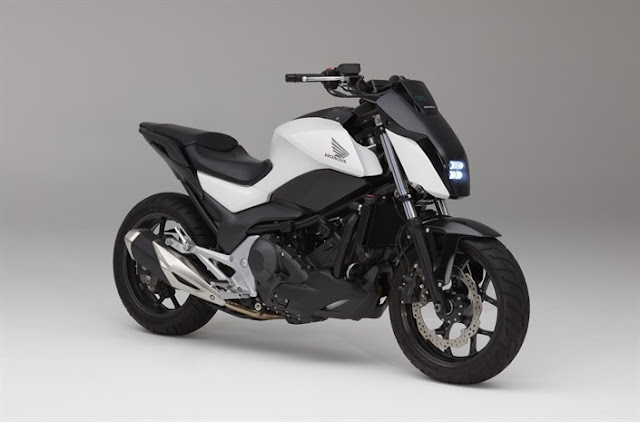 The event is divided into 4 competitive legs named The Prologue, The Terminator, The Predator and The Twilight Zone which are divided into 20+ Special Stages (SS). Each Stage consists of 100 points which can be gained by successful completion of a task or incur penalties for committing mistakes including non starting or finishing tasks and breaking environment protection rules. After completion of all the tasks , the team with maximum points will win the competition. It is the India representative and Franchisee of RFC International of Malaysia which was started in April 2009. 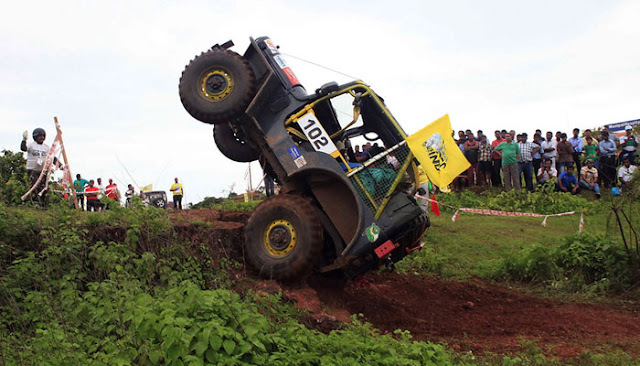 It has successfully executed and conceptualized 75 events till date including Off Road events for Land Rover, Tata Motors, Renault, Mitsubishi , Audi and of course RFC 2014 and 2015. It was the proud winner of many Awards like Motorsport Award of the Year 2015 from CNBC TV18 Overdrive, Event of the Year Award at 2015 Off Road Awards powered by Evo India and Motorsport Star of the Year Golden Steering Award from AutoBild Headline Today. Off Road Enthusiasts who have relevant Off road or Motorsport experience can register for the event for which the fees is INR 75,000 per team. Each team should comprise a Driver and a Navigator and the vehicles have to be modified according to RFC India guidelines. Applications except those of past participants of Force Gurkha RFC India will be reviewed by screening committee prior to acceptance. The application form is available to download at their website www.rfcndia.in. The entries will be based on 1st come 1st serve basis so interested enthusiast grab this opportunity as soon as possible! !